We were on spring break last week and a movie night was on our to do list! What is your favorite spring break activity? How about an at home movie night with the family?! 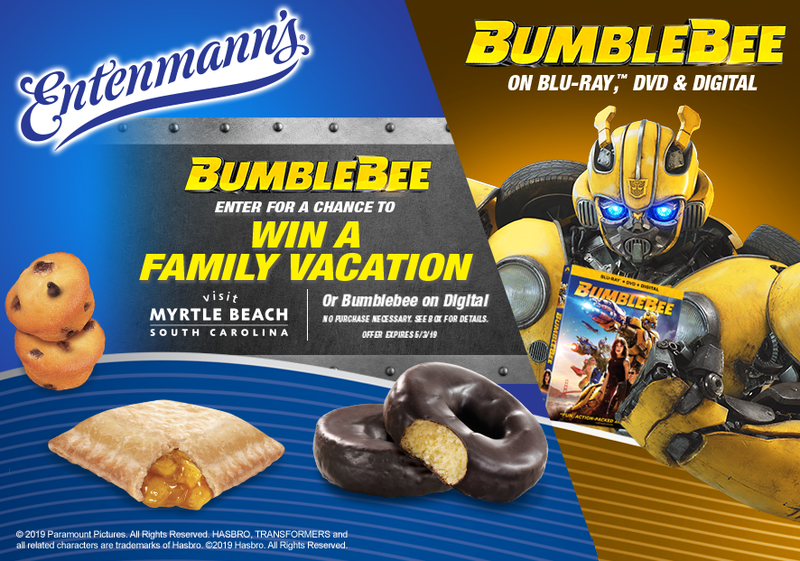 Entenmann’s® and Paramount Pictures Home Entertainment have an unBEElievably sweet offer timed to the digital, Blu-ray and DVD release of BUMBLEBEE - fans can enter for a chance to win a trip to Myrtle Beach or the film on Digital!! If you have been following my blog for almost any period of time, then you know my family LOVES Entenmann's Little Bites. It is one of the few snacks that I buy my family time and time again. Entenmann’s® Little Bites® muffins are pre-portioned pouches of delicious baked snacks made with real ingredients like blueberries, strawberries and bananas. Entenmann’s® makes a variety of delicious, cake style donuts such as Rich Chocolate Frosted, Crumb and Powdered. Entenmann's® Minis feature the same deliciousness and quality you know and love from classic Entenmann’s® products, only smaller and individually wrapped. From March 17 through May 3, consumers can visit www.littlebites.com/bumblebee to enter the Little Bites® BUMBLEBEE Visit Myrtle Beach Sweepstakes for a chance to win a trip for 4 to Myrtle Beach or the BUMBLEBEE film on digital! Enter to WIN HERE! No purchase necessary! 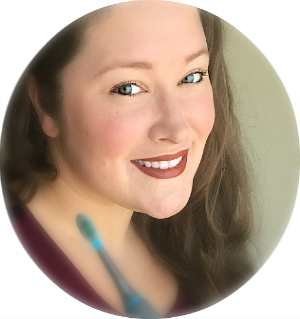 And I'm excited to offer you a giveaway of my own! One Nanny to Mommy reader will receive a $25 e-Gift Card and 3 Entenmann's free product coupons! Entry is simple, just follow the prompts on the Rafflecopter below. Open US only, must be 18+ to enter. Winner chosen via Random.org through Rafflecopter. All winning entries are verified. Please follow us on Facebook to stay up to date with our current giveaways. Good luck! The coupons for product redemption, information, and gift card have been provided by Entenmann’s® so that I could try the product and share my thoughts and information about Entenmann’s® products. The opinions expressed in this post are my own and do not reflect the opinions of Entenmann’s®. Nanny to Mommy and participating bloggers are not responsible for sponsors who do not fulfill prize obligations. This contest will run through April 23,2019 at 11:59 EST. No purchase necessary. US entries only. Must be 18 years or older to win. This promotion is in no way sponsored, endorsed, or administered by or associated with, Facebook. You understand that you are providing your information to Nanny to Mommy and not to Facebook. Please note that Nanny to Mommy and other participating bloggers are not responsible for sponsors that do not fulfill their prizes. We have represented each sponsor with the expectation they will fulfill their prize in a timely manner. We will contact the sponsor regarding your prize(s). The sponsors, in most cases, are shipping their items to you directly. I will make every effort to assist you obtaining your prize. If there is an issue with a sponsor, please notify the blog you won a prize from within 4-6 weeks for assistance, after that we may be unable to assist you. We love their Strawberry Yogurt Muffins. There are so many of the flavors we get all the time! I like the chocolate chip muffins, and I've already seen it! Love the bluberry muffins. Love all the Transformers movies. Love the blueberry muffins... well all the muffins really. Also looking forward to seeing Bumblebee since I missed it in theaters! I like the blueberry Little bites. My grandsons want to see the movie. My favorite are the crumb cakes! I like the blueberry little bites. I want to see it because I liked the other Transformers movies. My favorite are probably the Blueberry little Bites. My favorite Entenmann's product is the Lemon Crunch Cake. I love lemon. And Bumblebee looks like a really good action movie, which I admit I like! We love blueberry muffins. I'd like to see BUMBLEBEE because my kids have been wanting to see it. My favorite Entenmanns product is the coffee cake, it is always fresh and delicous tasting. I want to see the Bumblebee movie because I am a huge Transformers movie(and toy) fan. I like the fudge brownie Little Bites and the crumb coffee cake. I would like to see this movie because it is action packed and my kids would love it. I love the chocolate chip muffins! I want to see that movie with my boys! I like the Chocolate Chip Little Bites. My son and I both want to see this movie. My favorite is the Blueberry Muffins, but my kids prefer the chocolate chip flavor. My son is a big fan of Transformers, so of course we need to see this movie! My favorite Entenmann's product is the Raspberry Danish. I'm looking forward to seeing the movie. It would be fun for a family movie night. Blueberry muffins are a favorite. My boys would love to see Bumblebee. We love the mini chocolate chip muffins! My daughters just love the chocolate chip muffins the most! We love their little bites blueberry. We love all their other products too. I love their blueberry muffins! I like to warm them a few seconds in the microwave.. yum!! My favorite Entenmann's product is blueberry mini muffins. I want to see the movie, because it's family-friendly. I love their Crumb cake donuts! The blueberry muffins are our favorite. This movie sounds fun. i used to love those littel chocolate chip cookies. my kids want to see bumblebee! We love the chocolate chip muffins. They are all delicious, though. I love the blueberry ones the best..and the Bumblebee movie looks seriously adorable! I love their chocolate muffins, and love this movie because it's a movie that can be watched over and over. I buy the blueberry muffins for my sons lunch, but they are so tempting. I just can't help myself. I like the blueberry muffins. I've seen the movie. We love Entenmanns coffee cake! Bumblebee is my son's favorite Transformer! I like Entenmann's pecan coffee cake. I want to see Bumblebee with my nephew because I think he would enjoy it. We all like the blueberry muffins. Bumblebee is a going to be a great movie to take my nieces to. Fun action movie. My favorite is the chocolate donuts and my son loves Transformers. My kids like the chocolate chip Little Bites the best. They want to see the Bumblebee movie, because they love Transformers. My favorite Entenmann's product is their chocolate covered donuts. I want to see the BUMBLEBEE Movie because it looks like a fun movie. Thanks for the giveaway! Love the pecan coffee cake! Bumblebee looks so good. I like their snickerdoodle little bites. My kids would enjoy this movie. I like a few items--chocolate chip cookies, glazed cake donuts. I like the blueberry little bites. I want to see the movie because it looks good. I love the pecan coffee cake!!! My favorite product is the Classic Rich Frosted Donuts! 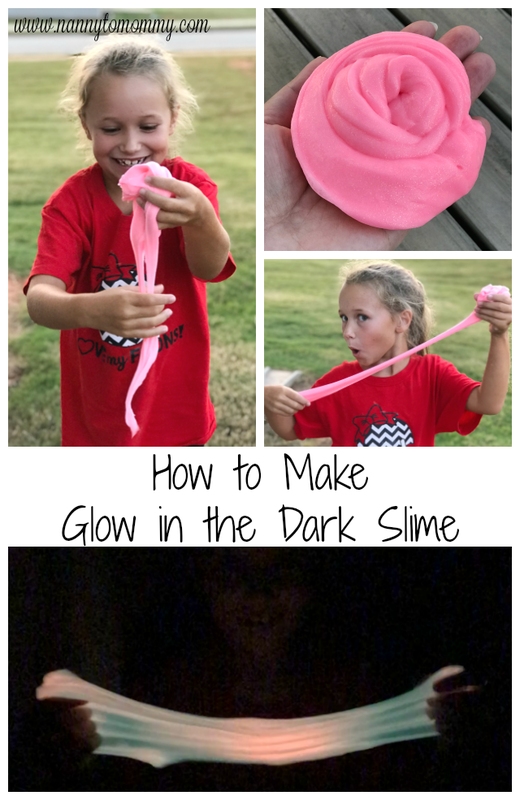 I would love to watch this with my kids. I love the blueberry muffins! 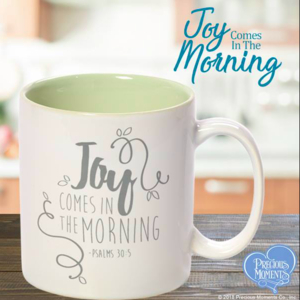 They are the perfect morning treat! I’m looking forward to watching this movie my niece. She will love it! The chocolate chip muffins is my favorite. I love their chocolate chip muffins. I want to see the movie because I've seen all the other Transformers movie and still haven't this one yet. I love the Chocolate Chip muffins the most! I want to see the Bumblbee Movie because my nephews love it! I'd like to watch with my nephew, and we love the Little Bites Crumb Cakes in my house. The blueberry muffins are a favorite of ours especially to put in lunches. The Bumblebee movie looks very entertaining. My favorite Entenmann's product is the Little Bites Snickerdoodle Muffins. The Bumblebee Movie looks like a good movie to see with my Grandkids! My favorite is the chocolate covered mini donuts! The Crumb Cakes are my favorite -- delicious with coffee in the morning. My all time favorite Entenmanns items is the cheese danish. Thos things are so addictive and just melt in your mouth. My family love the Chocolate Chip Little Bites and I enjoy the Pumpkin flavor. The movie looks fun to see with my family. I love, Love, LOVE the crumb cakes! They're so good! I like the chocolate chip little bites. I want to see the movie,because I like the Transformers. We love the mini blueberry muffins. We eat them as a mid morning snack. THEY ALL ARE MY FAVORITES BUT MY SON LIKES THE BLUEBERRY AND MY SON WANTS TO GO SEE THE MOVIE. My favorite Entenmann's product is the Glazed Buttermilk Donut. I really like any of the Little Bites, muffins or brownies. My very favorite Entenmann's product is there chocolate chip crumb loaf, soooo good. My kids like the chocolate chip muffins. They would also love to see the Bumblebee movie. My favorite little bites are the blueberry bites. I want to see this movie with the kids they would love this one. Love their chocolate chip muffins! The blueberry muffins are really great. Like the blueberry muffins. I'd like to see BUMBLEBEE because looks fun. Our favorite Entenmann's item is the Chocolate Chip muffins. The blueberry flavor of Entenmann’s Little Bites is by far my favorite flavor. My favorite is the blueberry muffins. I am looking forward to seeing Bumblebee for the action and the relationship between bumblebee and charlie. I love so many of their products. I guess I'd have to say their mini Banana muffins are my favorite. My favorite are their Chocolate Chip Little Bites. I like the Little Bites chocolate chip muffins. Bumblebee is an awesome family movie - love the action scenes! I love the chocolate chip muffins the most! My favorite flavor is the party cakes (funfetti)! My kids pretty much love them all, but Strawberry Yogurt is one is we always have to get. I want to see Bumblebee because he is my favorite character! I like the blueberry muffins. I've seen the other Transformers movies but haven't seen this one yet. their cheesecake pastry loaf style dessert!! Blueberry Muffin Little Bites are a whole family favorite of ours. The Little Bites Crumb Cakes are my favorite Entenmann's product! Heated up a little in the microwave! My favorite Entenmann's product is the banana nut muffins . My kids cant wait to see the movie looks great. I've always loved the blueberry muffins! I want to go see Bumblebee because I've seen all the other Transformer movies. I love the brownie bites. My son loves transformers! My favorite Entenmann's product is there doughnuts. I like them all but I'm really hoping they bring back the banana bread ones they had out last year which were awesome! I want to see Bumblebee because he's my favorite Transformer from the various films. Bumblebee is my favorite character. It looks amazing. Love the Fudge Brownies. I want to see the Bumblebee Movie because I'll be taking my nieces and nephews and I love spending time with them. I like the chocolate chip muffins. I enjoyed the other Transformers movies, so I'm sure I would like Bumblebee, too. My favorite is the chocolate chip Little Bites. I want to see this movie with my son since he likes Transformers. Favorite is the chocolate chip little bites. My sons are excited to see the new Bumblebee movie. I love the Entenmanns Rasberry coffee cake its perfect with milk or coffee. Yes Im excited to see the movie the boys see the trailers on UTube and are bugging me to take them . I love the Brownie Bites. I will drop my kids off at the theater. They are old enough to do this. We love the mini blueberry muffins. This is a movie our whole family will enjoy together. I like the Brownie Bites of the Little Bites. :) My great nephew loves the Transformers so he wants to see this movie! My favorite entenmanns product is probably the blueberry bites and I enjoy the movies. I love their original chocolate covered donuts! And would love to see the Bumblebee movie with my nephews...they love everything transformers & robots! Chocolate donuts are my favorite product. Haven't seen Bumblebee or any Transformers movies but would love to win! My favorites are the Little Bites Brownies. And the Bumblebee movie look really good. I love the snickerdoodle little bites. I love their chocolate covered donuts! And I want to see the movie with my grandsons because I know they will love it. My favorite right now is entenmann's snickerdoodle cookies. Truly don't have any interest in seeing the flick. Chocolate Chip Muffins! I want to see it because I love this type of movie! The mini blueberry muffins and brownie bites are perfect snack. Thanks for the chance to win. My favorite is the birthday cake little bites. My grandchildren would love to see the movie. We love the fudge brownie bites, and we would love to see Bumble Bee because we are huge Transformers fans. We like blueberry muffins. I would like to see it with my kids because they would like it. The chocolate chip little bites are our favorite! We are huge Transformers fans and would love to see this movie again! I like their cherry snack pies. I would like to see the movie since my granddaughter would like it. I like their blueberry muffins. I would like to see it because I think my boyfriend would like it and we could watch it together. I'm not sure of the exact name but it is the cake with the chocolate chip cream center - it's delicious! I like the mini chocolate chip cookies and I want to see the movie to see if it is any different from the other transformer type movies. I love chocolate chip muffins! 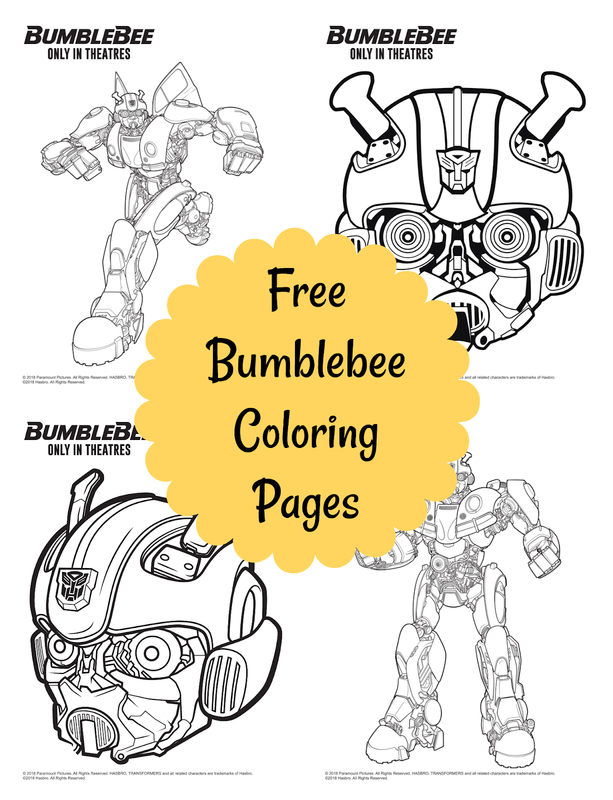 !We are huge Transformers fans and Bumblebee is a favorite! My favorite product from entenmanns is the little bites party cakes and I wanna see the movie because it looks interesting and fun. My favorite Little Bites product is the Chocolate Chip Muffins. I want to see the movie because it seems action packed. I love their pound cake and walnut danish ring. I'm looking forward to seeing it with my niece and nephew. Bumblebee is their favorite Transformer. I like Entemann's CHOCOLATE CREME FILLED CUPCAKES. I want to see the Bumblebee movie because I love Transformers. I love Transformers! I grew up playing with them and watching the show on tv. I cant wait to see this movie. My favorite entenmann's product is the cheese filled danish. Everyone in my house loves the chocolate chip Little Bites. We want to see the Bumblebee movie because we are all big fans of anything Transformers, and Bumblebee is our favorite transformer! Bring on the crumb cakes. They are my favorite and so handy to carry in a lunch or in the car. Can't go wrong with any of the flavors though! My favorite are the Blueberry Muffins. I am going to see the movie. I love the chocolate chip muffins. The movie looks fun. We love the blueberry muffins! I am looking forward to seeing the movie with me family! I love their fall donuts, such as their apple and pumpkin flavors. I absolutely love the Snickerdoodle flavor. I would love to see this movie because it is the kind of movie my daughter and I would both love.